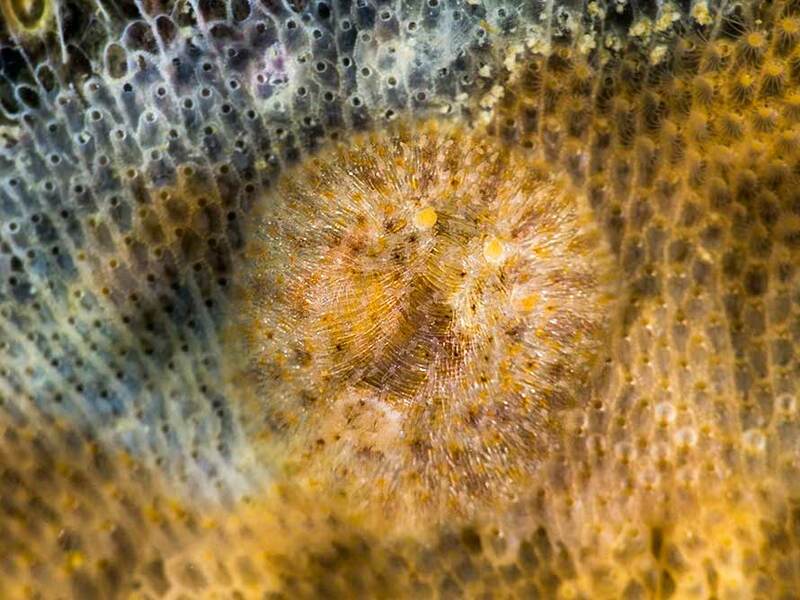 5 mm animal on an encrusting bryozoan at 16 metres. Water temperature 10°C. Sony α6000 in Nauticam housing, 18-55 mm lens, Nauticam CMC-1 dioptre and 2 x Inon D-2000 flashes.